Abel Bester Ing/Inc specialise in a range of legal areas including the administration of estates, conveyancing work, litigation, collections and third party claims. We have an excellent staff compliment who are specialists in their field of work. 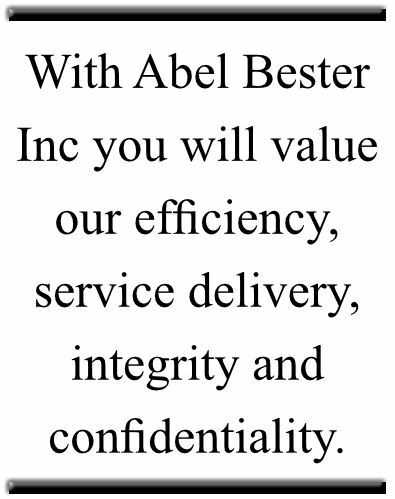 With Abel Bester Inc you will value our efficiency, service delivery, integrity and confidentiality.